After graduating from the conservatory, Mr. Lin has performed with the San Francisco Ballet Orchestra, California Symphony, Marin Symphony, and Santa Cruz Symphony. In 2005, he was invited to perform an exclusive concert for the former President of Taiwan, Den Huei Lee, and conducted Master classes through Taiwan, Korea, and USA. As founder of the acclaimed KAS piano trio, he has toured Asia and North America in 2007 with a 1713 “Wirth” Stradivarius Violin sponsored by Chi-mei fine art Ltd, and the trio’s performances were featured in major radio stations in Asia. From 2008- present, Mr. Lin has devoted himself to teaching young talents, and at the same time giving numerous concerts in California and Vancouver, Canada. As a violinist of the Vancouver Opera Orchestra since 2012, Mr. Lin performs regularly with Vancouver Symphony Orchestra and stays very active performing solo concerts throughout the years. 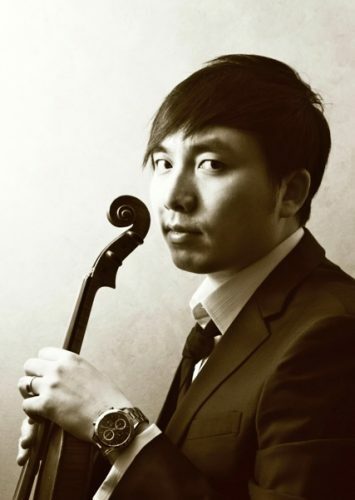 His recent solo performances including Tchaikovsky violin concerto with the Cambrian Symphony in California, and solo recital in Gwangju, South Korea.